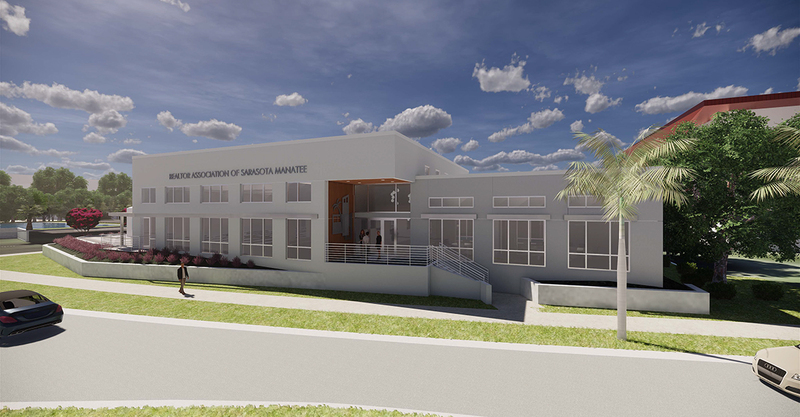 SARASOTA, Fla. (March 19, 2019) – The REALTOR® Association of Sarasota and Manatee (RASM) selected Halfacre Construction Company, a Lakewood Ranch-based commercial construction company, to build a new facility located in Downtown Bradenton. 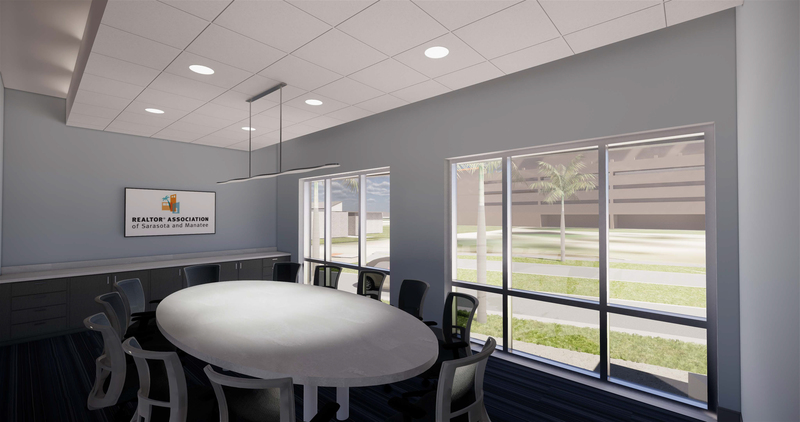 Halfacre Construction Company is currently working with RASM and the design team to finalize the building, landscaping and construction options for the project. 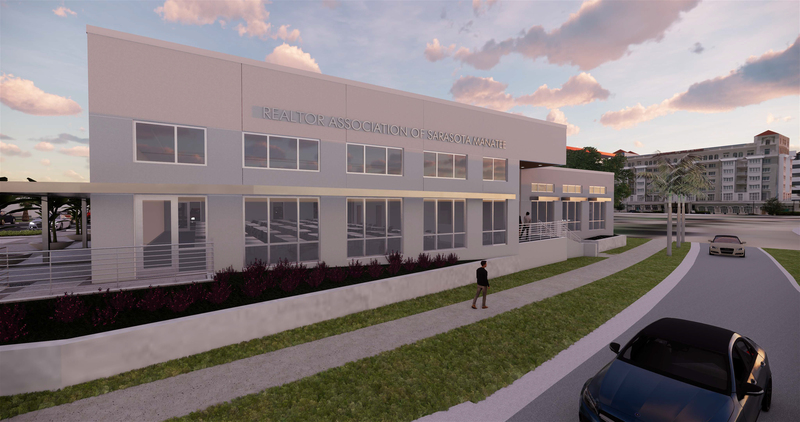 The building will become the second RASM member facility, serving REALTOR® members and the business community in the region. In 2015, Halfacre Construction Company built RASM’s Sarasota site at 2320 Cattlemen Road. Designed by Fawley Bryant Architecture, the 7,400-square-foot structure will house offices, meeting rooms and conference facilities. 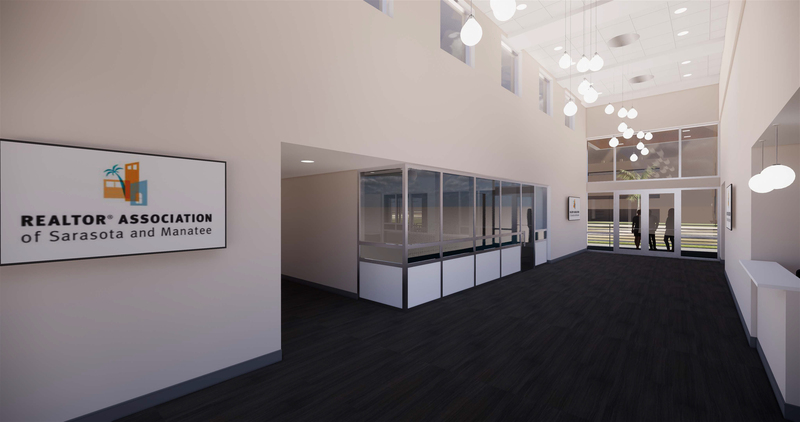 The building will also feature an outdoor meeting area – complete with brick pavers and large aluminum storefront windows. Halfacre Construction Company will supervise the site work and install the landscaping and hardscapes once construction commences. 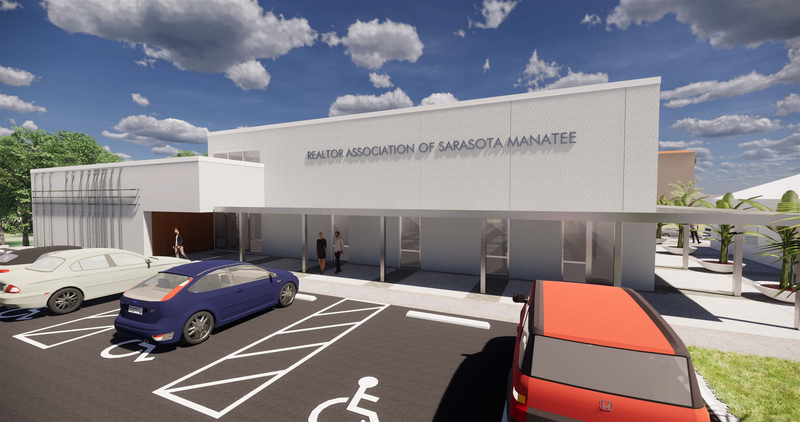 After the merger of the Sarasota Association of REALTORS® and the Manatee Association of REALTORS® in 2015, a Facilities Task Force was formed to evaluate the existing location in Manatee County. 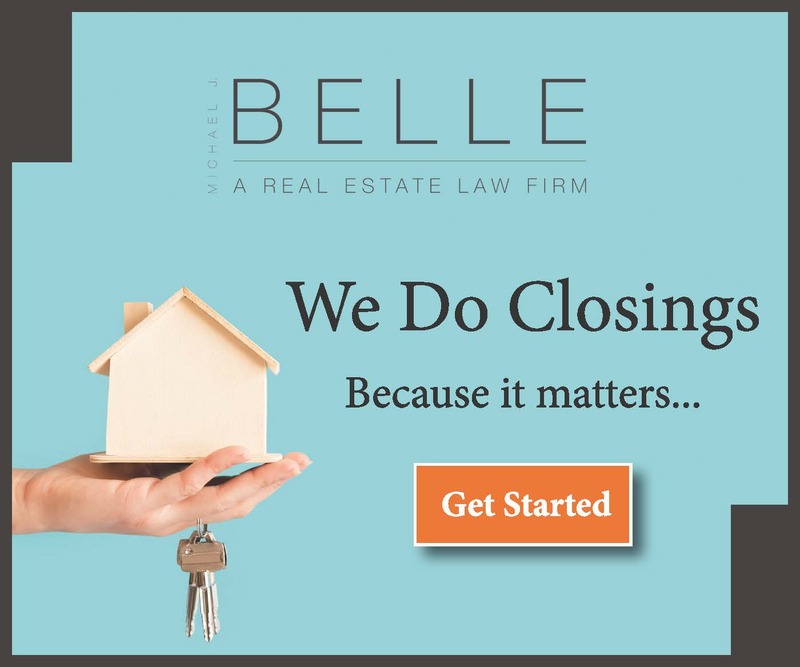 The Board of Directors voted to sell the former location in Lakewood Ranch and build a new building closer to the City of Bradenton. The Facilities Task Force is chaired by Roger Piro, a REALTOR® with RE/MAX Alliance Group. 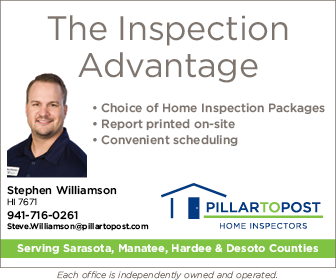 Located on 3rd Avenue West, between 9th and 7th street, the Downtown Bradenton location provides increased connections between the Association, its members and the local business community. Renderings provided by Fawley Bryant Architecture. Facing 3rd Ave West in Downtown Bradenton. Interior lobby providing access to the conference room, an auditorium and staff offices. Sample conference room. Renderings provided by Fawley Bryant Architecture.